Fancy a holiday with a difference? One where you will come back refreshed, leaner and full of energy? Here at Women UK, we’ve been busily searching out some fantastic retreats that will help to revive and regenerate us and nothing looks like it fits the bill better than a Breathe Ibiza Retreat. 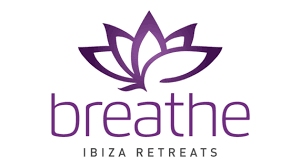 At Breathe Ibiza Retreats, they specialise in yoga holidays for women – travelling alone, with a friend or as a group. A typical day will begin with an invigorating, energising Vinyasa Flow Yoga session with teacher and host Rachel Spain, which will incorporate strong, steady flowing asana, pranayama, intention, chanting, meditation and relaxation. Inspiring music is played at all classes and a warm smile and sense of humour compulsory. Help yourself to a simple breakfast of green smoothie, cereals, fruit salad, toast, tomatoes, tea, coffee. The afternoons may find you exploring the island, lying on the beach, relaxing by the pool with a good book or pamper yourself with a treatment from one of our highly experienced therapists. The second class of the day takes place before sunset and will be a slow strengthening , stretching and relaxing pilates/yin/ restorative yoga flow practice focusing on posture and technique Or a meditation session. Each class takes place on one of the villas terraces, all with beautiful surroundings and views. After the evening class you can sit back relax and soak up the stunning sunset whilst you are served a delicious healthy, hot vegan meal accompanied with wine (optional) and followed with a guilt free raw food dessert. Truly heavenly. At Breathe Ibiza Retreats they like to make their clients feel comfortable and at home from the moment they walk through the door. They also promise to send you home feeling refreshed, energised and motivated. Situated on the southwest coast of Ibiza in the region of San Josep, the winding road to Cala Vadella takes in stunning coastal views. The bay is surrounded by pine clad hills with crystal clear waters along the sandy beach. There is a good selection of cosy bars and restaurants to enjoy, where you can sit back, relax and experience the breathtaking sunsets throughout the summer.The local supermarket and restaurant are a 5 minute walk. There are several great restaurants and bars in Cala Vadella where you can enjoy a leisurely lunch or dinner. If you hire a car there are plenty of beautiful spots to visit on the South West coast of Ibiza. (Breathe Retreats can advise the best places to go) 25 minute drive from Ibiza town, San Antonio and the Ibiza Airport. Are You A Woman in Business That Means Business?